Harrogate is a well-sought after spa town in North Yorkshire. It has great transport links. Other areas in the 'Golden Triangle are nearby, and Leeds Bradford Airport is just 10 miles away. The centre boasts a wide range of amenities, including the Victoria Shopping Centre, specialist boutiques, and a variety of excellent restaurants. One of Harrogate’s highlights is Betty's - the prestigious and traditional cafe. The original branch, which overlooked the Stray, opened in 1919 and is a popular tourist destination. Harrogate has a wide variety of properties available to buy. Terraced houses, flats, bungalows, semi-detached and detached. Whatever it is you’re looking for, you’ll find it in Harrogate. The average cost of a property in Harrogate is higher than most other parts of the UK, at approximately £284,000. But there are still options for different budgets. Use our property search feature to find houses currently on the market. Hunters is one of the longest-established estate agents in the area. The first branch opened in 1998, before moving to it's current location in Albert Street five years later. We have an experienced team of local estate agents. They have the knowledge, training and skills to maximise every opportunity. The current Harrogate branch has recently undergone a stylish makeover. Both the interior and exterior have been revamped. A bold feature wall showcases our properties in the most elegant and effective way. Selling your Harrogate property is simple - if you do it the right way. Hunters has the experience to get you a price you’re happy with. To get started, first you need to get a valuation of your property. You can either do this online, or ask us to come and visit. Either way, it’s completely free. Get in touch with us today to get started. A great experience with the Harrogate team in buying my first property, it was a nervous but exciting time. They helped explain the process and supported with the complicated documents. I'll definitely be using them in the future. After struggling with another agent in the area, we called in Hunters to help with the rental of our flat. Sophie Hustwith was exceptional and made the process seamless...to top it all off, she found us a high quality tenant very quickly. Would highly recommend. We have been very happy with the prompt and efficient service from all the staff at the Harrogate branch. They answered all our questions, kept us informed of what was happening with our house sale and were pleasant to deal with. We felt that they worked hard to achieve a sale for us. Click to view preferred suppliers for Hunters Harrogate. The Harrogate office of Hunters is situated in a particularly high profile location in the centre of Harrogate allowing a great deal of footfall through the doors. Out fantastic corner showroom allows us to really showcase our properties and attract even more potential buyers. To find us head down towards the end of Albert Street near West Park Stray and we’re on the left. Matthew returned to working for Hunters having previously managed one of our offices in the York area, he brings with him a wealth of experience with over 18 years in the industry. Matthew will be able to give you the best possible help and advice on how to achieve the best possible price for your property. Shona shares the same role as the other negotiators in the branch but also plays a huge role accompanying viewings. Shona’s knowledge and enthusiasm is a real asset to the office and she receives excellent feedback from the customers she is dealing with. Mandy joined the Harrogate team in 2014. Mandy has previous sales experience working within the industry and also for Hotel Sales. Mandy also plays a big part accompanying viewings and keeping you updated on your sale the whole way through. Sam has joined us recently. He has worked in Harrogate and surrounding areas dealing with town and country properties for 15 years and brings an abundance of local knowledge. He will guide and direct you from start of the sales process to your final completion. Harry started working for Hunters in November 2017 after recently graduating from University where he studied Business and Economics. 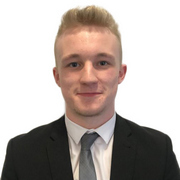 Harry is a great team member and his knowledge of the property market as grown immensely since joining us. 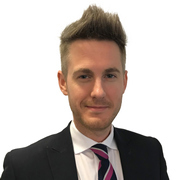 James has joined us from a Conveyancing background so comes with the knowledge to help you through the whole process of buying and selling. He is a Yorkshire lad and very keen to start his new career in Estate Agency. James joined the team in November 2016 from the Skipton Building Society. 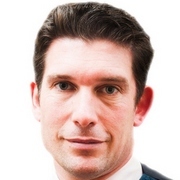 He has successfully helped a large number of clients achieve their dream of owning their own home, whilst also helping people to save money with their mortgages. He has the facility to access over 90 mortgage providers which helps you get the best mortgage available to suit your needs and budget. 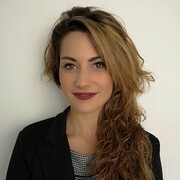 Georgina has recently started with Hunters, however has over 4 years worth of experience in the lettings industry. 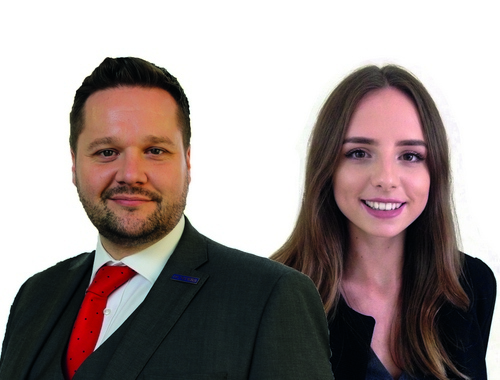 She has a great knowledge of the market and will be able to provide the most up to date information about letting your home and guide you through the legislation associated with the full lettings process. 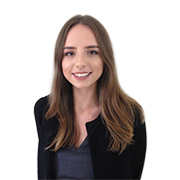 Rachel joined Hunters in 2018 after working in the lettings industry in Leeds city centre. Rachel is passionate about getting you the best price possible and finding your perfect tenants. Rachel will be your main point of contact from valuing your property to getting your tenants moved in, ensuring this process runs smoothly and is stress free! Set against the backdrop of the rolling Yorkshire Dales sits the beautiful Spa town of Harrogate. Since High Harrogate and Low Harrogate combined some 200 odd years ago, the town has grown considerably in size as has the areas property market, with a range of Harrogate houses for sale and rent in the area. However, unlike many other towns that go through the same transition, Harrogate has done exceptionally well to retain large open areas, such as the Stray, which covers around 200 acres of the town centre and gives way to a feeling of space whilst evoking memories of days gone by. Thanks to its reputation for striking architecture and the positive effects attributed to its Spa waters, Harrogate has attracted many affluent home buyers over the last hundred years. Add to this its perfect location, which is close to Leeds Bradford International Airport, whilst only a short drive from the Dales and you have a town which is home to a variety of well sought after properties. One of Harrogate’s greatest attractions is the Turkish Baths and Health Spa. The revitalising spa pool and hot sauna are a popular destination for both tourists and locals alike. Throughout the year, Harrogate is also home to various different festivals, providing a variety of diverse entertainment ranging from comedy acts to musical events. There is also the Great Yorkshire show, which is held annually in the month of July. One of the greatest of its types in the country, the show is a perfect opportunity to learn about country life, whilst enjoying a variety of entertainment designed to keep members of the family both young and old entertained for hours. For those who appreciate fine food Harrogate can offer an eclectic mix of quality eateries ranging from international cuisine to cosy little café’s, such as the renowned Betty’s Tea Room. These establishments compliment the relaxing parks in the town centre and theatres and together make for a very enjoyable trip out day or evening. One can only assume that Harrogate’s considerable and diverse attractions are enjoyed every bit as much by the local community as they are visitors, a fact that has no doubt gone a long way to contributing to the town earning the title of the happiest town to live in throughout the country. Thanks to this, any potential home buyer will no doubt be pleased when looking for Harrogate houses for sale. There is an excellent variety in both style and price range and with the unique setting, coupled with the friendliness of the community and safe area, you couldn’t be blamed for making a move to Harrogate, possibly the last one you ever make. However, Harrogate’s greatest achievement is its identity. Despite being very much a modern town, this beautiful gem in the north of England has never lost its original charm and remains one of the country’s greatest places to lay your hat. Harrogate is a great place to live, with a wealth of Harrogate houses for sale & rent more and more people are making the move to this charming area. Pop into our local office, perform a property search or visit the Harrogate estate agents & letting agents homepage for more information.